Edison Corporation is one of the country's leading new generation conglomerates engaged in various sectors within the power, energy, casino, property development and allied businesses. Edison Power Group, the oldest electrical contracting company in South Africa is driven by its determination to be the leading company in the electrical industry through the provision of cost effective, efficient services and a commitment to increasing shareholder value whilst improving the quality of life of all South Africans. The Edison Power Group boasts an excellent track record for supreme innovation, execution and total customer satisfaction. Driven by a mantra of uncompromising quality and quintessential services, Edison Power Group enjoys pride of place among the most enterprising and resourceful operations in southern Africa, driven by the philosophy of providing optimum customer satisfaction with commensurate leading-edge products at very competitive prices. Embracing the belief that the strength of a company resides in its human resources, the Edison Corporation executive and management team comprises highly competent and experienced individuals who possess diverse and efficient skills - all contributing to an enviable and extremely competitive expertise base. The Edison Power Group's exceptional service of trust and dependability in the industry has earned them numerous accolades. Some of these include being voted the Best Electrical Business for ten years in succession (2009 - 2018), an especially prestigious award as it is one which is voted on by the peers in the industry. Edison Power, a leader in this field, has successfully completed electrical installations to some of South Africa's most prolific projects totalling in excess of R50 billion. The Edison Power Group is currently the leader on the Africa continent regarding supply, deployment and support of complex end-to-end smart metering solutions. The Edison Power Group, with it exceptional overhead and underground transmission capabilities run full range from 69Kv to 500Kv. The company has built hundreds of kilometres of new wood pole and steel structure transmission lines, reconductored and upgraded existing transmission lines and performed live - line maintenance in conjunction with its international partner, Quanta Services. Their state of the art technology isolates energised line from the structure to create a safe work environment. Edison Power utilises this industry leading technology in conjunction with traditional methods to maintain, upgrade and even rebuild virtually any voltage line or facility without interrupting the power supply. The transmission and distribution division specialises in the erection, maintenance and upgrade of transmission and distribution lines. The comprehensive services includes installation, repairs and maintenance of every part of transmission and distribution system, industry leading expertise and technologically advanced equipment allows them to work on any configuration length or voltage whilst also providing service around smart grids. Cutting-edge property development of shopping malls, casinos, commercial and residential projects. The R4,2 billion Oceans Umhlanga Development project is the largest private sector investment in development in KwaZulu-Natal history. 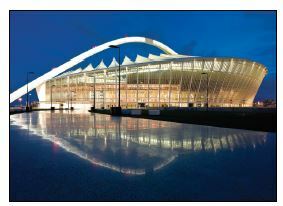 Oceans Umhlanga is the brainchild of entrepreneurs Vivian Reddy and Rob Alexander of Edison and Ducatus Property Groups. The 'Dubai style' mixed-use development is also a first in terms of design in South Africa and incorporates two residential towers consisting of 497 elegantly designed apartments, all with sea views; a world class 33 000m2 shopping mall that brings international super-brands to Durban for the first time and a luxurious 206-room five-star Radisson Blu Hotel. The 90 000m2 project spans a whopping 300 metres from end to end and is within a stone's throw of the Indian Ocean and Umhlanga Village. Apartments retail from R1,6 million to R60 million for the best penthouse in the city, which is all of 700m2 with breath-taking views and an infinity pool, 28 storeys up. Reddy said the project design style was what architects referred to as 'cutting edge contemporary' with the curvilinear lines of the buildings expressed in a combination of glass and distinctive materials. Edison Property Group currently has R 10 billion under development. The Vivian Reddy Foundation has contributed tens of millions of rands towards upliftment programmes, education, cultural and religious organisations and other disadvantaged sectors. To be the "Biggest and Best" electrical company in Africa by 2020 and to be an established Leader in the economic growth of Africa. To create a productive and efficient work environment, such that it identifies with the transformation of our country in all respects, which encompasses empowerment, upliftment and job creation by implementing the best practices and working with clients of choice. We aim to be a leading socially and environmentally conscience company. 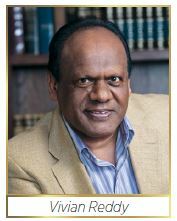 Edison Power Group - Vivian Reddy Bags Two Major Accolades In One Night!